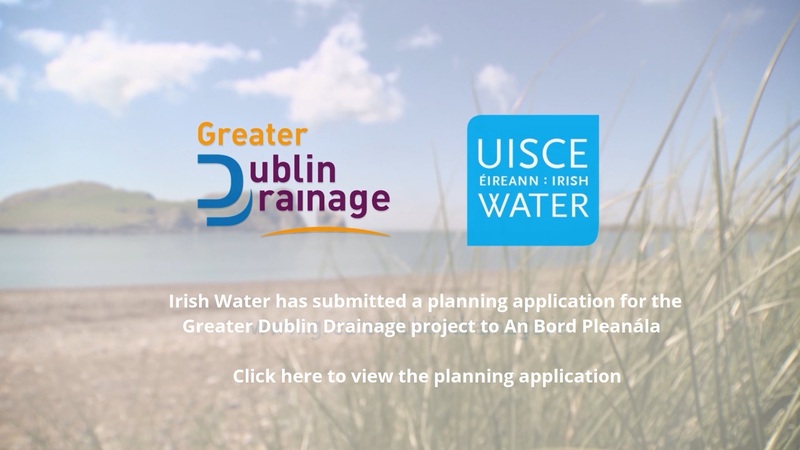 On Wednesday 20 June 2018, Irish Water made a planning application for strategic infrastructure development to An Bord Pleanála for the Greater Dublin Drainage Project. Greater Dublin Drainage (GDD) is a project to develop a new regional wastewater treatment facility and associated infrastructure to serve north Dublin and parts of the surrounding counties of Kildare and Meath. As our population and economy grows, so too does the volume of wastewater. The amount of wastewater generated in greater Dublin is projected to increase by over 50% in the period to 2050. We must collect and treat this wastewater so that the treated water can be safely returned to the environment. GDD represents the next major step in the development of our wastewater infrastructure for Dublin and the surrounding counties. Once operational from 2026, the GDD project will have the capacity to provide wastewater treatment for the equivalent of half a million people. GDD is a key part of Irish Water’s investment in new wastewater infrastructure in greater Dublin and will protect public health, safeguard our environment and facilitate growth to 2050. Click here for more information on the GDD project. Click here to view the GDD planning application.